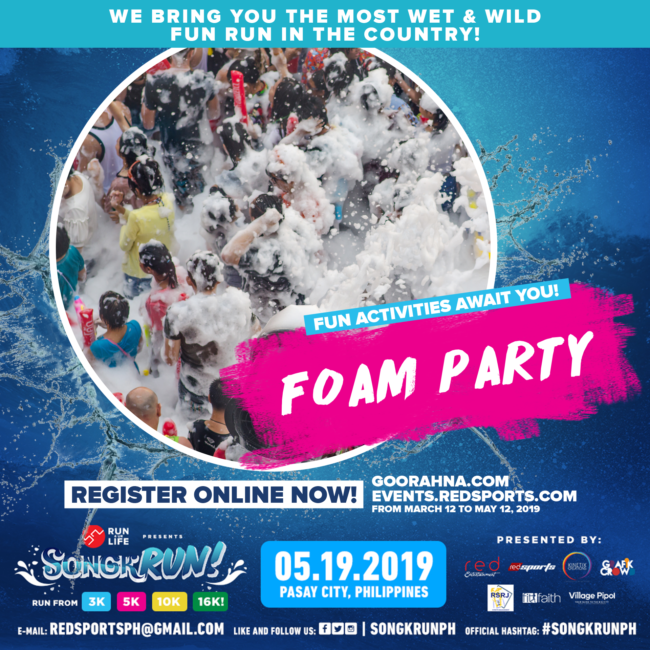 Red Sports by Red Entertainment brings Thailand’s Songkran Festival in the Philippines! 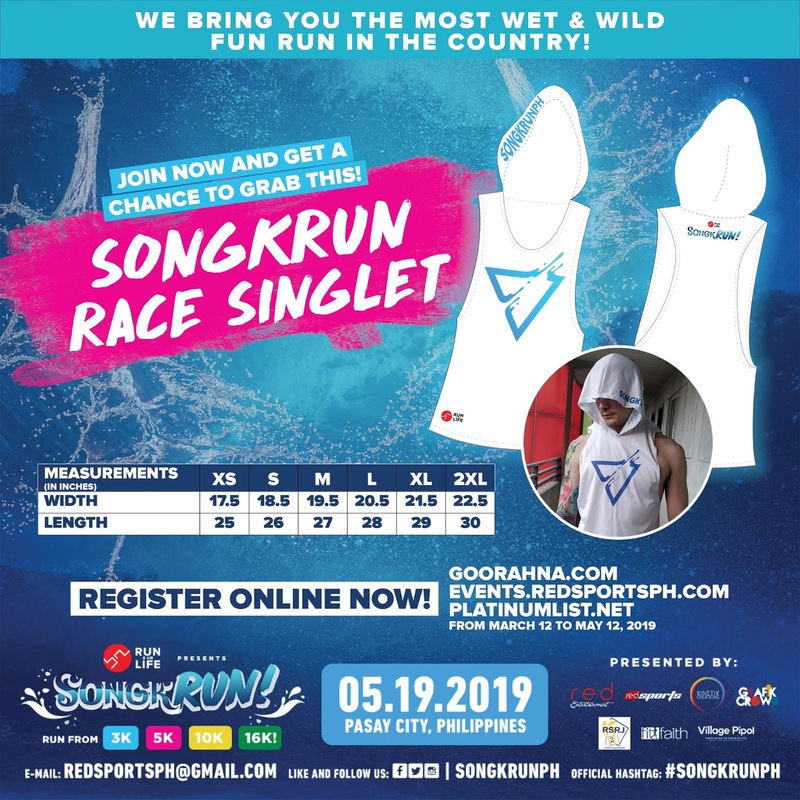 Get wet and wild as you experience SongkRUN 2019 this May 19 at CCP Complex. 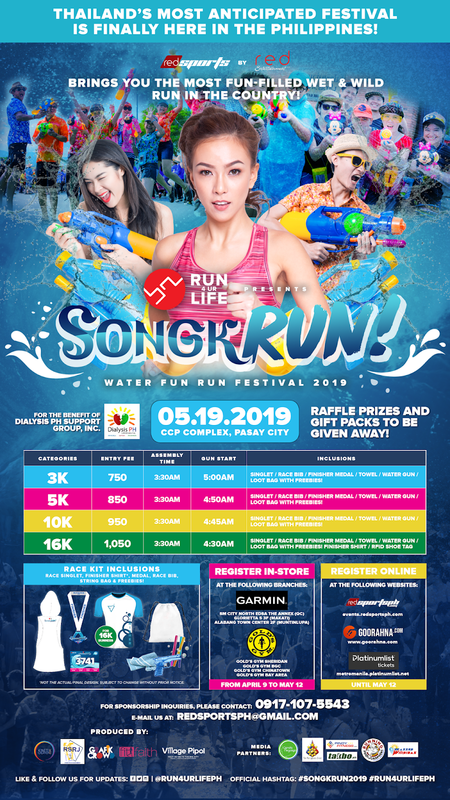 As part of RED Sports’ #Run4UrLife first year anniversary celebration, SongkRUN 2019 will surely soak you with fun and surprises. 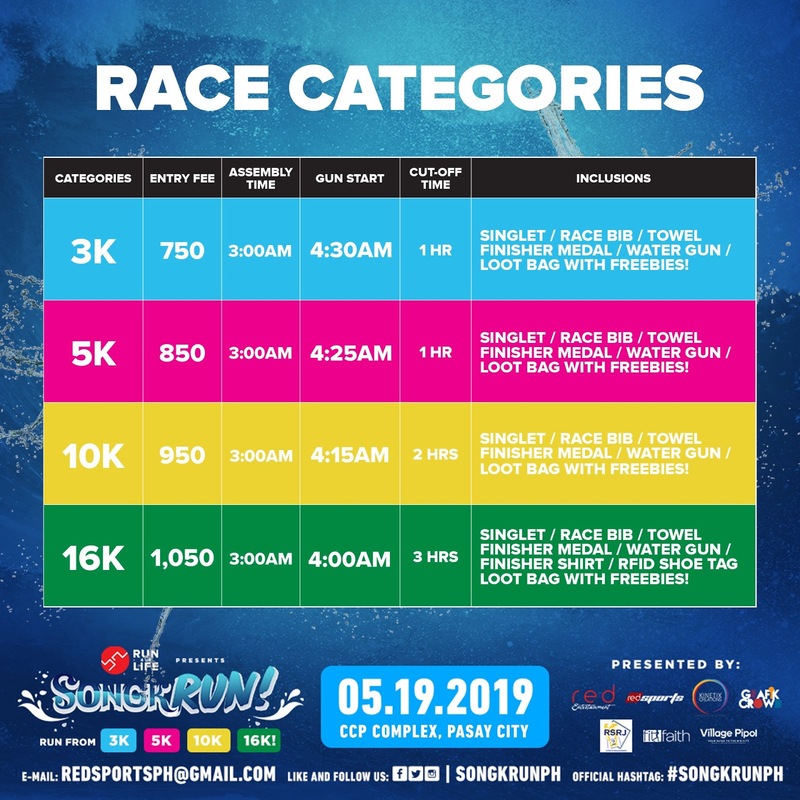 Sweat your hearts out with this 4 race categories! You can choose from 3k up to 16k course, depending on your capability, of course. With your P750.00 to P1,050 registration fee, you are guaranteed to receive everything you needed to complete the race. This includes your running singlet, race bib, towel, finisher medal, and shirt (for 16k). You will definitely not go home empty-handed with your loot bag full of freebies! If you finish the race, you will get a chance to earn this aesthetically-designed finisher medal that you can brag to your friends. For the racers of 16k category who finish their race, you will also receive this exclusive finisher shirt! Expect a lot of fun activities and surprises that await every racer! One of these is the exceptional foam party you and your friends could enjoy. Bathe in water from water guns and foam as you dance to loud music! If you join this wettest fun run event, you will have the opportunity to help our brothers and sisters from Dialysis PH Support Group Inc. They are a Patients-Relative support group for patients suffering from Chronic Kidney Disease (CKD). Register now and experience Thailand’s way of celebrating their New Year’s day here in the Philippines. Starting April 9 until May 10, 2019, racers can now have their in-store registration made possible by Gold’s Gym and Garmin, the official store partners of the event. Check out Gold’s Gym branches in Sheridan, BGC, Chinatown,and Bay Area to register. Garmin branches in SM City North Edsa, Glorietta 5, and Alabang Town Center are also open for registration. Online registration is still open for everyone!